The only kind of juice I drink is orange juice, but I haven’t been buying it that often lately. For one, I’m so picky about juice and secondly, I dislike how much sugar is added to some kinds of juice. I like juice that is 100% juice and nothing else. 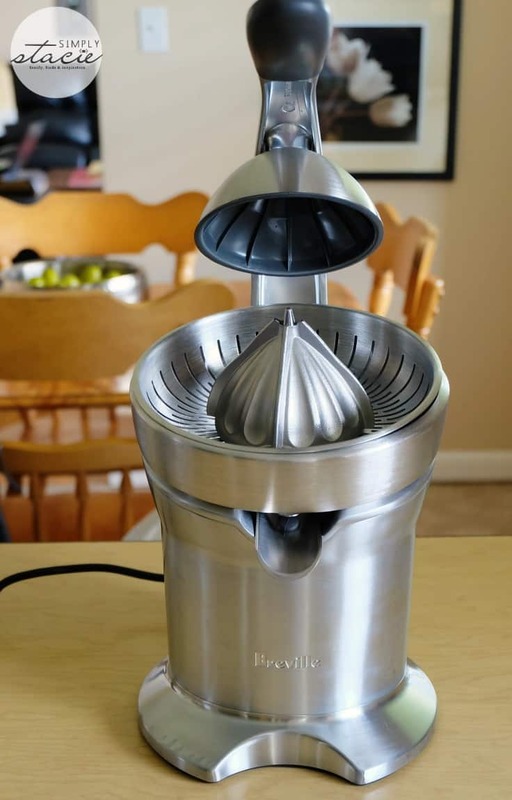 I’ve never owned a juicer, but I’ve always wondered about them. 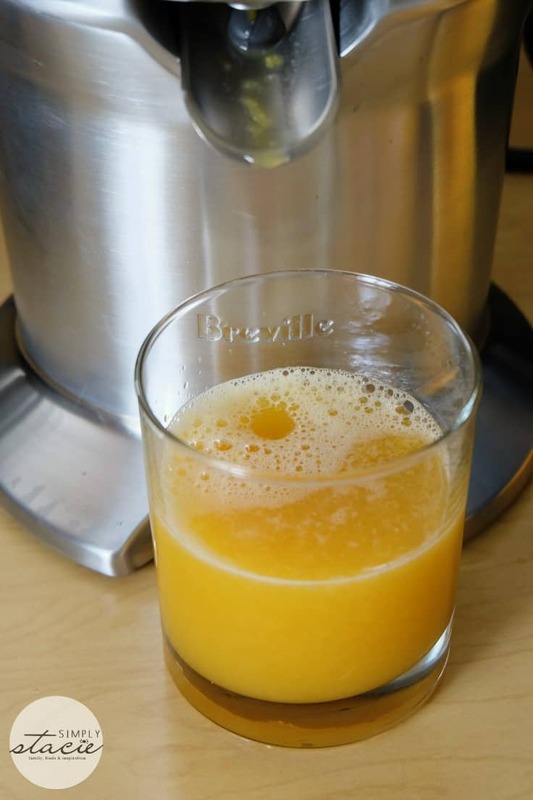 Recently, I’ve been adding a small glass of juice to my breakfast and it’s all thanks to Breville the Citrus Press! I go through oranges like crazy! I eat at least one every day. I don’t eat sweets as much anymore so to satisfy my sweet cravings, I reach for a juicy orange. Orange juice is just another way for me to indulge my sweet tooth and also get the health benefits of citrus. The Citrus Press makes preparing my own juice a breeze. It’s pretty much effortless. 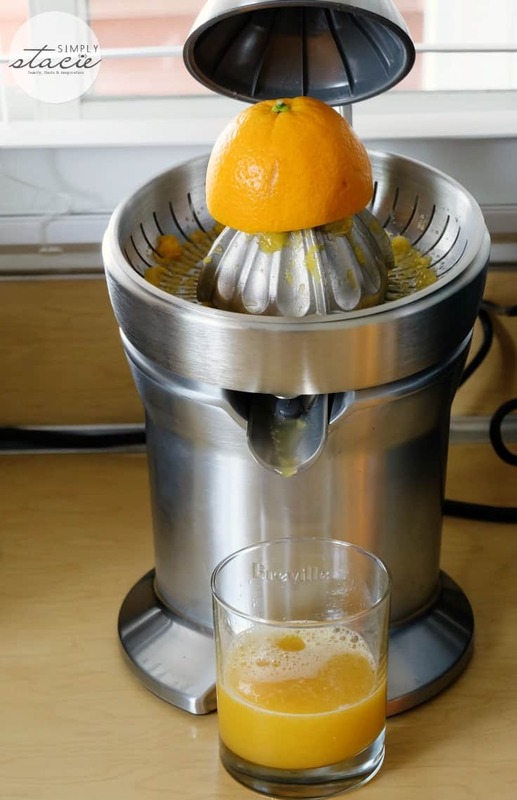 Breville The Citrus Press is designed to give you the maximum amount of juice from all types of citrus. It has a patented juicing cone that fits all sizes and it will juice the entire thing. No joke. It squeezes out every last drop all the way to the rind! 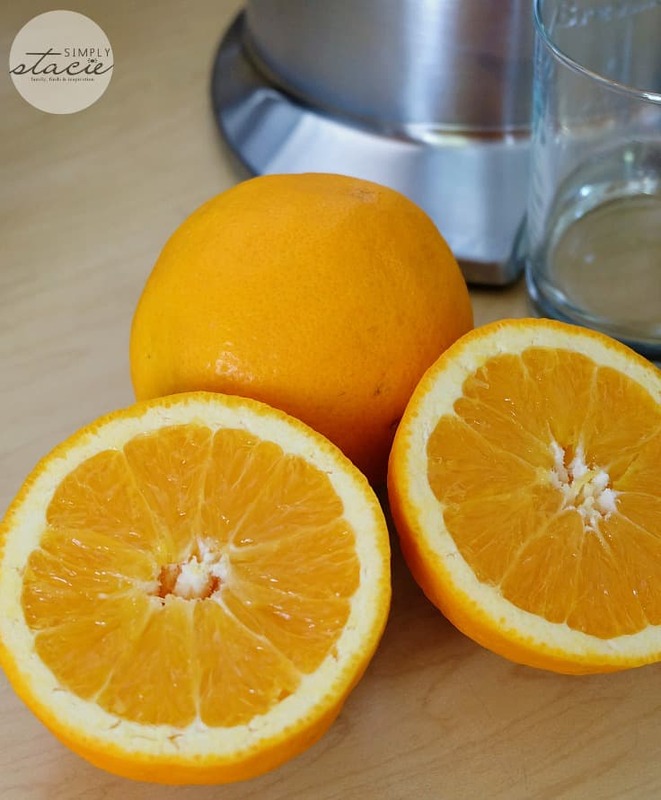 I use two oranges to make a glass of juice for breakfast. 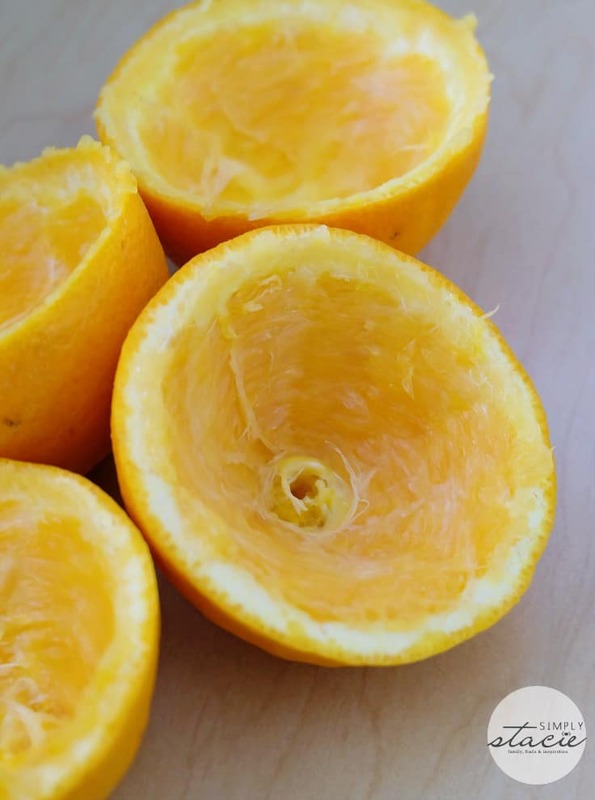 They recommend cutting the citrus fruit in half across the fruit segments, instead of across the tips ends. It allows for more efficient juicing. 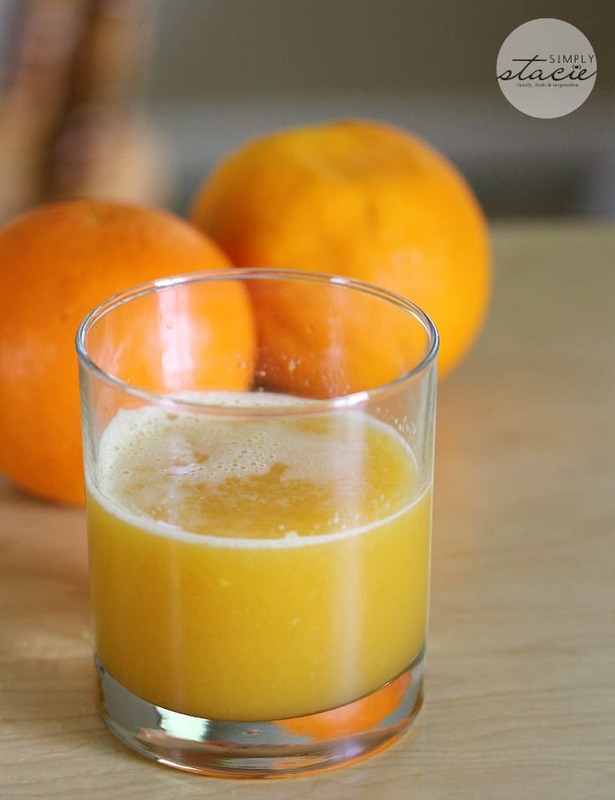 Have a cup ready under the juicing spout, gently pull on the juicing arm and voilá – freshly squeezed orange juice. It juices the entire thing in a matter of seconds! I like that I can make a glass early in the morning without barely making a sound. It is SO quiet! Another neat thing is that you can juice all shapes and sizes of citrus. It’s truly a one size fits all type of product. Use it for limes, lemons, oranges and grapefruits. John said that the juice I made him tastes like Orange Julius. I didn’t add a thing to it. It’s nothing but fresh oranges. To me, it tastes like pure and simple orange juice. I like to add a few ice cubes to my glass to make it nice and cold. So refreshing! The Coarse Filter Basket catches all the pulp so that it doesn’t end up in your juice. I’m not crazy about pulpy juice so I appreciate this feature. It’s also very simple to clean with all the parts being dishwasher safe. I recently made my family one of my favourite drinks from my childhood – a Shirley Temple! It tastes amazing with the addition of freshly squeezed orange juice. Want to enjoy fresh juice every day? 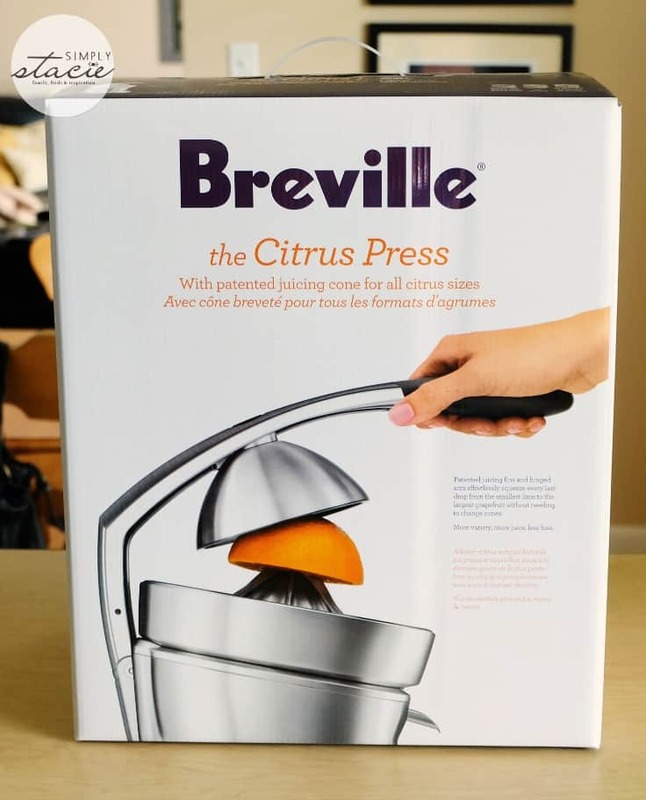 Pick up Breville the Citrus Press ($199) online or at a retailer near you. 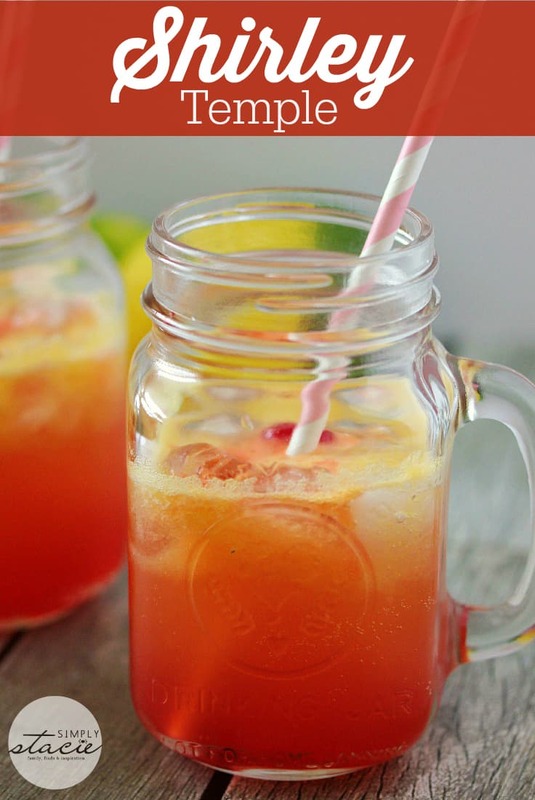 Think of all the yummy summer drinks you can make in addition to Shirley Temples! Do you ever make your own juice? Connect with Breville Canada on Facebook. Bring back memories of childhood with this refreshing virgin drink! 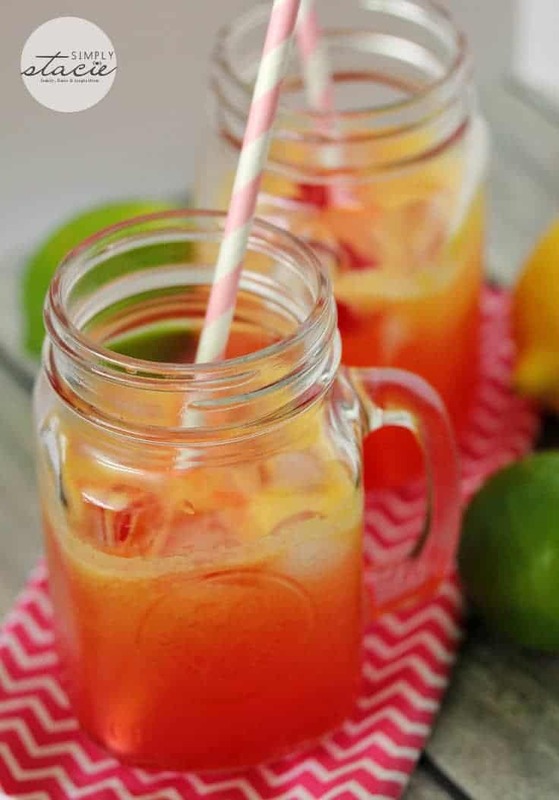 Add ice, orange juice, lemon lime soda and grenadine to a glass. Top with two cherries. Just learned from yesterday’s local news that the Shirley Temple originated at the Royal Hawaiian Hotel here on Oahu and got curious about the drink! I would love to get one of these juicers but after seeing the price Whoa Nelley!!! but the drink loooks awesome and one I can make without the juicer, thanks for the review!! I love that it juices right to the rind!! I’m so guilty of having a juicer and never using it lol! But I should because fresh juice is delicious!! 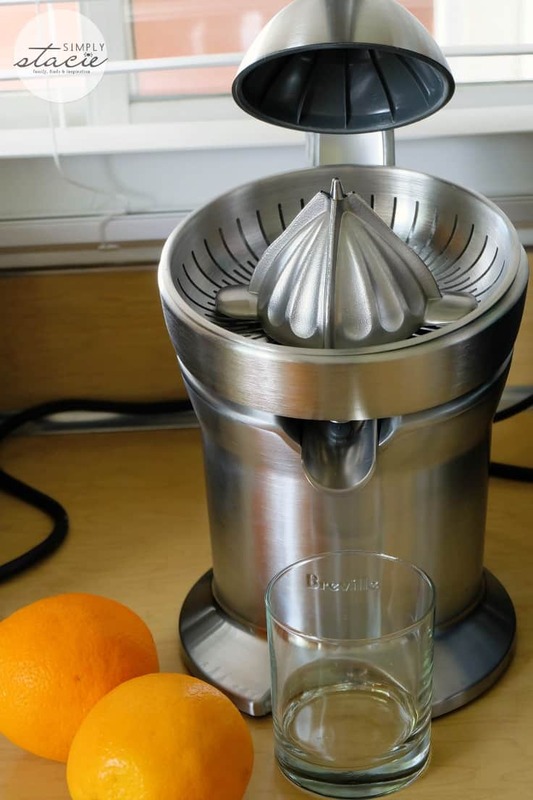 This juicer looks amazing. I am not keen on pulp either, so love this feature. Fresh squeezed juice — yum! I used to drink lots of these at the restaurant with my parents when I was a kid. This looks so good! I have nothing but citrus trees in my backyard. Maybe I should invest! I always wanted to try a Shirley Temple!! I think I’ll put it on my list of to-do this summer!! Tasty recipe! 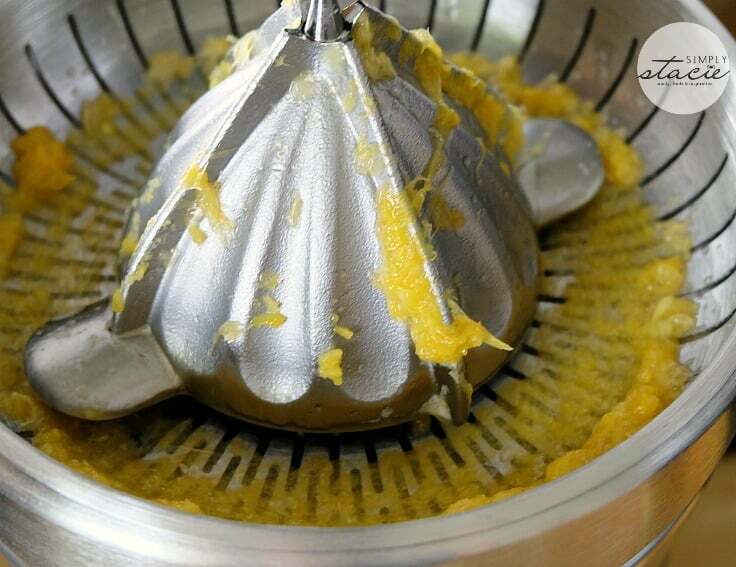 Now I want a citrus press…..so many possibilities. Oh, the Shirley Temple…a favorite drink of my daughter when she was growing up. It was a big deal when places had them. Great job with the detailed review and photos. I’m with you and want clean juice with no pulp. I used to make my own juice with the hand squeezers years ago, but haven’t tried with the new juicers. I grew up on fresh juices and really hate the store ones too. This looks sooo good. I love gadgets that press is fanncccyyy!! I used to love Shirley Temples as a kid! I’d forgotten all about them, thanks for the reminder. Now I’m thinking I might have to make one. The Shirley Temple was also my favorite childhood drink. However I stopped drinking it when I starting get more interested in sports and overal wellness in high school and college. Your recipe seems a lot fresher and lighter! That is a cool citrus press! I loved Shirley Temples as a kid and it brings back great memories. Stopping by from Freedom Fridays. 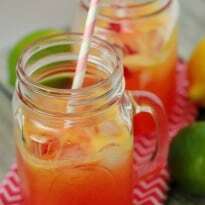 Pingback: Great Ideas -- 20 Cool Summer Drinks! looks fabulous and wonderful to “meet” you on craft schooling Sunday! I can’t wait for BBQ time to make this drink again,it’s delicious ! We don’t have a juice press but we love Shirley Temples, we’ll make it with regular orange juice and hopefully it will be just as good! Thank you!